First there were standing desks, animals in the office and even relaxation corners. 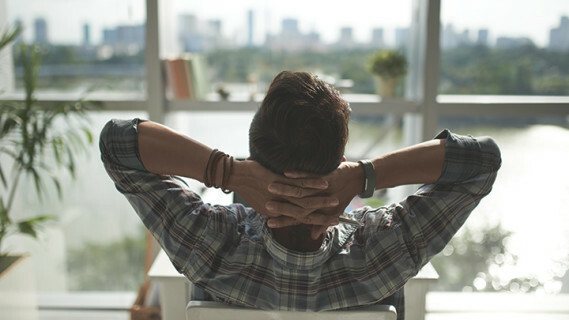 Now, another workplace trend growing in popularity is the concept of employees (particularly those aged between 30 and 50) taking a break from their high stress corporate jobs—temporarily, of course. “Call it a time out. Call it an extended vacation. Call it a sabbatical. The fact is that this trend is growing from tremendous work burnout from Generation X,” says Ted Jenkin, co-CEO of oXYGen Financial. A friend of mine recently asked for a sabbatical from her company and got it. “I just need a break from work,” my friend said. “I like my job. I really do. But I’m rather burned out. I need to back away from it, for more than a week or two, so I’ll come to appreciate it again. That’s why I’ve asked for a sabbatical.” Her company granted her six months off from work—in her case, with pay—to pursue other interests. At the end of six months, she could return and pick up her work again. The sabbatical concept originated at colleges and universities for faculty members who needed uninterrupted time to finish an advanced degree or to research and write a book. It has since become a movement that has crossed over to other kinds of workplaces. According to yoursabbatical.com, 23 per cent of companies in the United States offer sabbaticals, and the number is even higher in some European countries. Companies have a range of expectations of their employees on sabbatical. Some merely want them to come back re-energised. Others encourage activities that would help them or the company: anything from volunteering at nonprofit organisations to taking classes, to writing or researching, to improving their own health, to travel, to doing a course of independent study. The idea seems counterintuitive. Why would you pay a person to not work for you? Yet companies find that when employees get a long break from their work, they come back happier and more productive. When we reflect on the biblical creation account we think of stars and planets, swordfish, albatrosses, kauri pines, giraffes, butterflies, kittens, and Adam and Eve. What is often missed is that rest itself was a created concept, apparently equal in importance to any of these tangible things. Although labour was necessary, especially after sin came into the world (see Genesis 3:16–19), no-one was expected to work ceaselessly. Humans were created to enjoy both mental and physical rest. The biblical Sabbath happens every seventh day, what we call Saturday. This is a universal concept; even the pre-European cultures of Papua New Guinea held the seventh day of their cycle to be a rest day. For example, the Hula call it Koe Pogina, or “Day to Stop Nothing.” But the idea of rest is a strong biblical theme. Moses, writing in Leviticus, recommended to the agricultural Israelites that every seven years the land itself should be given a sabbath (25:3–7). That didn’t mean you could merely relax for a year: animals and family still had to be tended. Yet the heaviest of the field work was set aside. Interestingly, modern farm practices vindicate what Scripture says: soil left fallow (uncultivated) for a year regains its fertility and becomes doubly productive the next year. Much of what troubles our world the most can be traced to our forgetting that God is our Creator. For example, the wanton destruction of our environment is bad management of a world that, even in its state of degradation by sin, still belongs to God. In the beginning, Adam and Eve were “to work and take care of” their home (Genesis 2:15). “Rule over the fish in the sea and the birds in the sky and over every living creature that moves on the ground” (Genesis 1:28)—not dump poison into the water and atmosphere, and bury it underground. Add to that the devastation caused by endless wars and fighting, and it becomes abundantly clear that we’re not taking care of this earth as our Landlord in heaven would wish. God being the Creator means He is Owner of everything, whether money (Haggai 2:8) or land. “The earth is the Lord’s, and everything in it” is clear enough as regards property, but He adds that He also has an interest in “all who live in it” (Psalm 24:1)—not just those who are rich and powerful. Though they object to Darwinian evolution as the explanation for life, some modern Christians favour a capitalism that is akin to economic Darwinism: those who win in the marketplace should prosper, and if there are losers, it’s their own fault. That’s a hard economic model for a Christian to defend in the light of how often the biblical prophets condemned the rich for neglecting and exploiting the poor. This is closely akin to the Bible’s other reason for the Sabbath, found in Deuteronomy 5:15: “Remember that you were slaves in Egypt and that the Lord your God brought you out of there with a mighty hand and an outstretched arm.” Here, the Sabbath is to remind believers that all achievements and successes are only made possible because of God’s rescuing power. Why lord it over one another if we are all just emancipated from slavery to sin? Clearly—if inconveniently for some—the Sabbath has economic consequences, even beyond a weekly pause in earning a living. Jesus made that clear when He chose for His synagogue Scripture reading a verse from the book of Isaiah: “The Spirit of the Lord . . . has anointed me to proclaim good news to the poor. He has sent me to proclaim freedom for the prisoners and recovery of sight for the blind, to set the oppressed free” (Luke 4:18). Of course, not all workers get offered sabbaticals. They are more common for white-collar office workers and academics than for labourers. I can imagine some stay-at-home mums, for example, who might welcome three months away from managing a busy household! But they, along with many workers who operate at the high end of the physical exertion scale—and the low end of the pay scale—don’t get any break at all. "Clearly—if inconveniently for some—the Sabbath has economic consequences." Yet when Exodus explicates the meaning of the seventh day of creation, the application is universal: “On it you shall not do any work, neither you, nor your son or daughter, nor your male or female servant, nor your animals, nor any foreigner residing in your towns” (Exodus 20:10). This is remarkably egali­tarian for what was otherwise a very unequal culture: no-one, says Scripture, should toil for you so that you can keep the Sabbath. Everyone rests, from the lowly to the wealthy, from the slave to the king. When asked about the Sabbath, Jesus said, “The Sabbath was made for man, not man for the Sabbath” (Mark 2:27). There were those in Jesus’ day who kept a stern and “perfect” Sabbath: they didn’t work at all. They thought God was pleased by their grim and exacting obedience to every Sabbath rule. But Jesus made it clear that the Sabbath was supposed to be for our happiness. It is a day to rest from work, but also to commune with God. To the tired and burned out, Jesus said, “Come to me, all you who are weary and burdened, and I will give you . . . rest for your souls” (Matthew 11:28, 29). And still today, the weekly Sabbath is the most readily available resource for the weary and burdened. Jesus Himself needed, and kept, a Sabbath day rest (Luke 4:16). Millions of Christians worldwide still keep the seventh-day Sabbath as a day of rest from sunset on Friday night to sunset on Saturday night (Leviticus 23:32). During that time they neither work nor pursue sports or commercial entertainment, but use the time to connect with family, friends, community and God. What better way to receive His rest?